We recruit, manage and train volunteers and offer them a range of opportunities that helps them improve confidence, skills and resilience to the complex issues they face whilst living in poverty and deprivation in the neighbourhood. The opportunities available include, ground maintenance, social media, electrical, customer service, stewarding, sports administration, sports journalism, sports photography, catering, event management, sports therapy, cleaning, stadium management, ball boys/girls, community coaches and more. Having established themselves within the fabric of the organisation people's roles will evolve to embrace peer education, mentoring and group leadership enabling us to support other local people who want to experience volunteering opportunities. Volunteers will given the chance to share roles, and operate 'outside their comfort zone' with a view to learning new skills. The projects volunteers engage with area wide, driven by local need, and only limited by resources available to meet the demand. Base in Ashton-under-Lyne. 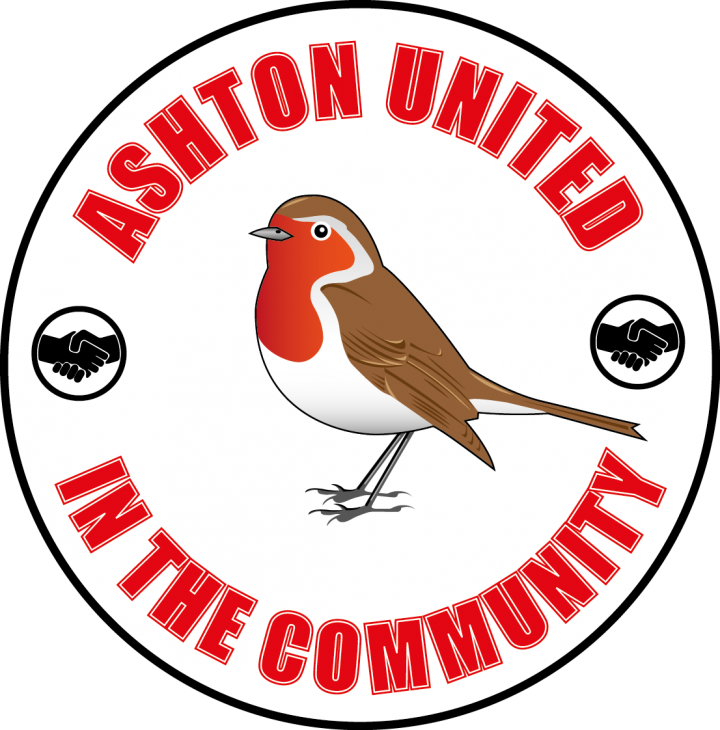 We are the bridge between Ashton United Football Club and the community and support the work of volunteers associated to Ashton United and the projects, events and community activities that takes place. As a focal point of the community of Hurst we aim to tackle local issues identified through consultation with our users, and potential users. Through offering volunteering opportunities to local people, we can help improve their confidence, physical and mental health and wellbeing, and give them skills and knowledge that may lead to work opportunity. They make new friends and become part of a team. Where the volunteers are students they gain valuable work experience. Together with volunteering at events taking place at Hurst Cross the volunteers will support a number of projects that tackle issues associated with the deprivation prevalent in the ward e.g. poverty, loneliness, isolation, poor health and wellbeing, lack of education and unemployment.